HUMBOLDT PARK — In a nondescript Humboldt Park warehouse, thousands of mussels trucked in from Newfoundland are living out their final hours in an ocean-like environment designed to mimic a mollusk's natural saltwater habitat. "No one wants to eat old seafood. We're trying to make it fresher, safer and easier to distribute mussels locally and to a wider audience," Chicago Wet Storage owner Guy Furman said during a recent tour of his inland facility, 3125 W. Chicago Ave.
Furman says the mussels from Chicago Wet Storage, which are stored in tanks of 40-degree saltwater before being sold to distributors under the brand name Arctic Blues, are "the freshest mussels in the country" outside of getting the mollusks off a boat in Boston. The licensed food grade facility was more than two years in the making and opened in September. It is currently home to 12 tanks, each capable of holding 250 gallons of salt water. 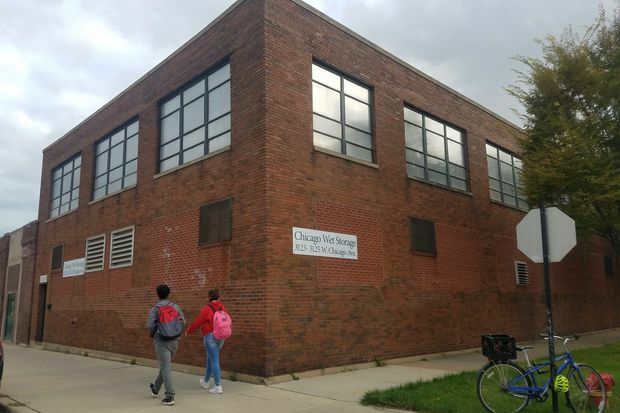 At full capacity, Furman envisions selling 3 million pounds of live mussels a year out of the Humboldt Park warehouse. "We are basically reproducing their natural environment. Mussels are a wonderfully sustainable seafood product; they eat algae. They are meant to breathe under water. They stay in the tank for 24 to 48 hours, and some even start growing again," he said. 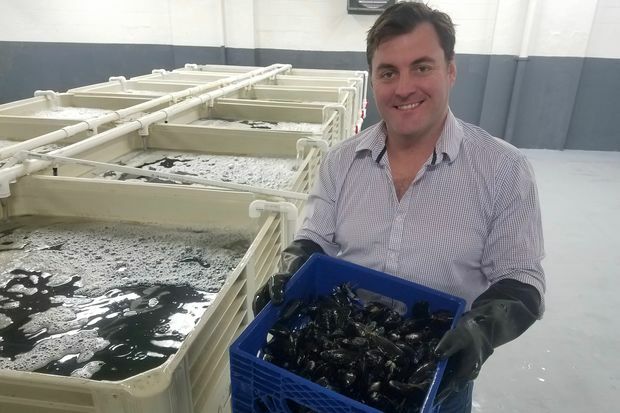 Chicago Wet Storage sells its Arctic Blues mussels to the city's four largest seafood distributors: Fortune Fish, Supreme Lobster, Wabash Seafood and EuroUSA. 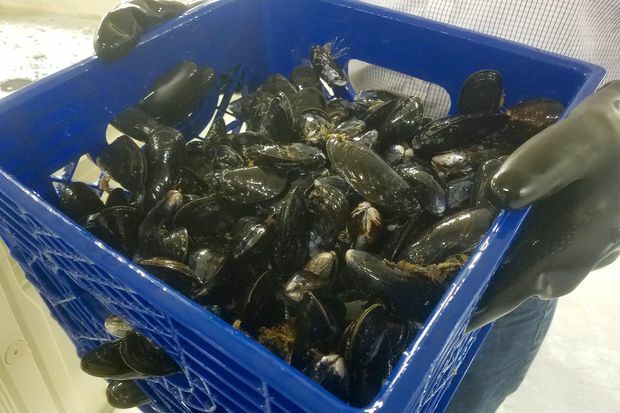 Those distributors provide chefs at Chicago restaurants with mussels in 10 pound bags. Most other mussels are shipping into the United States from Canada's Prince Edward Island and stay chilled or on ice, but are not stored underwater. "We negate that lag time from shipping and get them back in water to make them healthy again," Furman said. So far, Swift & Sons' steakhouse chef Chris Pandel has been selecting the Blue Arctic mussels from the list of mussels offers by distributors and several other prominent Chicago chefs have been sampling the mussels, Furman said. "We're getting the word out. All of the distributors are offering [Arctic Blues] and we are priced to compete, but it's not their job to sell it [over another brand]. It's new and gaining steam," Furman said. Arctic Blues' mussels come from Newfoundland, which is north of Prince Edward Island, where most mussels in the United States are sourced from. "They are bigger, meatier and older [than Prince Edward Island] mussels. It's harder for Newfoundland mussels to get to the market place fresh because they are further away, but we put them back in the water and allow them to refresh and rehydrate. When they come out, they are as fresh as if they've just come out of the ocean," Furman said. The 37-year-old Furman runs Chicago Wet Storage with sales manager James D'Astice and contract employees who help to process, clean and pack the mussels. Furman's parents, Edward and Martha Furman, also own Chicago Wet Storage and are investors in Furman's Charlotte, N.C. -based Marvesta Shrimp Farm. A River North resident, Furman came to Chicago in 2010 to study at Northwestern University's Kellogg School of Management. He started the Marvesta Shrimp Farm with former graduate students and it was through his contacts from the shrimp world that he started to entertain the idea of how to make mussels stay fresher longer. Furman selected Chicago because of its location. "Doing it in Chicago makes more sense. If you do it here, you can process and ship mussels by truck to California and Texas next day. Currently, California are Texas are air freighting mussels and truck is cheaper than air," Furman said. Steamed in a big kettle with white wine for French cooking or seared with marinara at Italian restaurants, mussels are usually less expensive than oysters and have thinner shells.